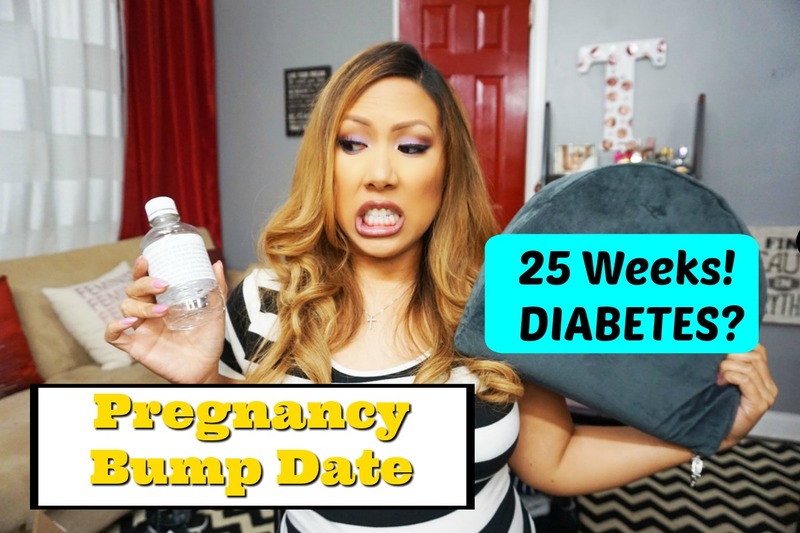 Home 25 weeks pregnant first baby mommy blogger mommy vlogger pregnancy second trimester 25 Weeks Pregnancy Bump Date - First Baby! I'm back with another bump date! This is a pretty big week - I went to the doctor and officially tested for gestational diabetes and I'm showing you how I've been dealing with a pulled stomach muscle and cramping, ouch! I've also worn through my first pair of pregnancy leggings and I'm looking for recommendations. Check it out! Pregnancy support belt - This belt is definitely helping support the weight in my front, and it's comfortable and invisible under clothes. Especially if you're on your feet a lot this is a must have. Pregnancy Wedge Pillow - This small pillow comes in handy! For sleeping, sitting in hairs...I'm also going to pack it for my upcoming vacay. Glucose test - I went to the doctor this week and drank a sweet drink they gave me in order to take the 1 hour test for gestational diabetes. The doctor also measured my stomach and the baby is growing normally, yay! Babymoon - I've officially started to back for my baby moon which is 2 weeks away, packing video coming soon! Pulled something in stomach - I think all my coughing has caused me to pull a muscle in the side of my stomach. All I can do is rest, take Tylenol and do a warm compress, it's the worst! Busted leggings - I officially have worn through my only pair of long black maternity leggings. I'm looking for a replacement. Leave recommendations in the comments below!